Inna Yatsyna is a brand and community manager at Serpstat, an all-in-one SEO platform. Inna is experienced in digital and content marketing, along with SEO. She’s fond of writing useful posts, helping people, reading, traveling, and animals (especially dogs). Follow her on Twitter @erin_yat. Content must be useful and unique to attract your target audience. But if it’s not visible, people will never even know about your unique, useful content. Thus, before you can have your audience’s eyes, search engines must see your content. 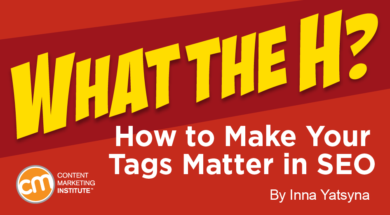 And to attract search engines to your content, you need to think about your heading tags. Visible as <H> in your HTML code, heading tags are scanned by search engine bots and are the portion of your content most visible on search engine results pages.